I apologize for having a late blog today. I went to see Les Miserables with my husband and I was completely blown away. Hugh Jackman was amazing. I don't think I've been pulled through a movie with that sort of emotion in a very long time. I truly loved it. Then I ran to the store to grab a few more things for our New Year's Eve party and it was a madhouse! The lines were long, the people were cranky (especially the lady barreling toward me with a phone to her ear and a cart in her hands that could have run me down!). But now I'm home and I finally have a moment to sit. I wanted to tell you about the last book I read in 2012. Athena by Heather Moore is the final book in the series of four that tells us about the Newport Ladies Book Club. This one gives us an in-depth look at the life of Athena who has seemed to be the most distant of the group so far, but this novel shows us how complicated her life truly is. She owns an online magazine, she has a mom who wants her to get married and when she breaks up with her longtime boyfriend, her mom sets her up on blind dates hoping Athena will find a nice Greek boy. She finds some solace in joining a book club and doing a few spontaneous things until an accident turns her life upside down and everything she ever thought about herself comes into question as she's pushed to her limits and beyond. I loved the character growth in Athena and how real she felt. I loved her insecurity and confusion and how she allowed herself to finally rely on someone besides herself. I think the best part of this book, however, and one that sets it apart from the other three, was the romance. It was so well done and truly showcases Heather Moore's talent in writing complex relationships. From the first meeting to the slow build it is toe-curlingly good. I loved our hero, I loved how he was with our heroine, and I loved the ending. I think this one will go on my keeper shelf for sure, to be pulled out on rainy days when I want to re-read my favorite parts. Self-proclaimed bachelorette Athena Di Jasper is at the top of her game. Her online magazine is thriving, and she’s in a comfortably static relationship, free of the kind of commitment that could lead to marriage she’s seen her parents rocky union, and it’s not for her. When her on-again, off-again boyfriend Karl wants to move their relationship to the next commitment level, Athena’s obvious dismay leads him to challenge her workaholic tendencies. His accusation is true: she hasn’t even paused to read a novel in years. Determined to prove Karl wrong, Athena takes a break from her hectic schedule to peruse a used bookstore, where she meets Grey, the intriguing and single proprietor. Her quest for change and her desire to see more of Grey leads Athena to stray from her to-do list and join the Newport Ladies Book Club. 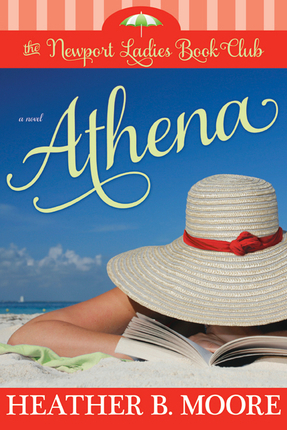 When Athena’s world is turned upside down by a family tragedy, she’s left to care for her terminally ill father. Juggling the demands of attending to an ailing parent and running her business, Athena comes to value the friendships of the book-club members, and she finds herself relying more and more on Grey’s support. When she stumbles across an old shoebox in her mother’s closet, she’s stunned by its contents, which hold unexpected truths about her parents relationship. As Athena delves into a past that defies her judgment about her parents’ marriage, she is forced to reevaluate her views on life and love. The last First Page Friday of 2012! This year has flown by and I've learned so much. I hope you have found it helpful. We still have one spot open for January, so if you would like your first page critiqued, please follow the guidelines on the sidebar. Thank you to our editors and authors from the bottom of my heart for all your hard work. See you next week! Jagged rocks twisted, towered over and surrounded Ax, cocooning him a dark, watery prison. The water current swirled, taunting his body with pungent odors from Panthon prison. The rotting stone structure loomed miles away. It didn’t surprise Ax that he smelled it. That place reeked. Still, he was glad for the stench. He counted on it to mask his own scent. His hands clasped the jagged rocks behind him, anchoring him down. He faced forward. His powerful tail throbbed, jammed into a rocky crevice. If danger came, he’d meet it head on. “Focus, breathe shallow, you’re nothing but algae on the rocks,” he chanted in his mind to keep the image of the Nightmare from building inside his head. Nightmare…a fitting nickname for the most feared soldier in history. He’s also the Delphin who currently stalked Ax. And if the stories were even half right, the Nightmare could smell like a shark and attacked his prey just as ferociously. “Focus, breathe shallow, you’re nothing but algae on the rocks.” Ax’s hands grasped the stones so tight they cut into his fingers. His tail flitted nervously as he attempted to ignore the sharp rock that gnawed in his back. Yeah, right, this wasn’t pain. He’d taste real pain if the Nightmare found him. If he were religious, now would be a good time to pray. But which god would he pray to? The only god-like being that cared about a Delphin was Mother Calypso. And she’d strike him down if he tried praying to her. Hades was no better. The god of the underworld was likely making big plans to whip and torture him in Tartarus for eternity. No, death was not an option. He must survive and to survive he had to hide. Normally he hid from no one, but the Nightmare wasn’t just any Delphin. He spelled death to the most vicious criminals and Ax definitely fit that bill. Ax had done things that would sicken most Delphins and he relished each moment. You’re off to a good, strong start – the tension is cranked right from the start. The mood of the setting matches the pervasive sense of danger for Ax. The unusual setting catches your attention, as does the protagonist – he’s definitely not going to be your run-of-the-mill hero. A prison break (if that is indeed what is happening) is going to get readers’ attention. We like to root for an underdog, and a good prison-break story is always interesting, even if it’s the villain doing the escaping. The references to mythology, the questions raised in this first page, and even the fact that this is happening in the present, all combine to whet our curiosity. Is Ax breaking into or out of the prison? And how is the prison looming when it is miles away? Does he reek because he’s been in the prison, or has he deliberately done that so he can blend into his surroundings better? Or is that his natural scent? And if the Nightmare has such a keen sense of smell, shouldn’t Ax be worried instead of glad that he has such a pungent aroma broadcasting his location? Why is Ax trying to think of something other than Nightmare? Is Ax psychic? Or is Nightmare? Can he sense someone’s thoughts and fears like a shark drawn to blood, prompting Ax to block the tell-tale emotions? Or conversely, is Ax merely scared, and using a little psychology to bolster his courage? A good rule when working with non-human main characters is to make them as simpatico as possible. As Orson Scott Card argues so beautifully in Speaker for the Dead, what makes someone “human” is not their DNA but rather their ability to feel the higher emotions: compassion, empathy, love, and the ability to sacrifice themselves for the good of others. Anyone – be they alien or monster or mythological creature – if they are capable of understanding and acting upon these hallmark traits, can be considered human. When you have characters in a story that are alien or non-human, readers will identify with them more, especially the main character, if you can focus on points of commonality. If Ax is a merman of some type (which he seems to be at first glance), you’ll have some obvious hurdles to overcome. For one thing, if he doesn’t have legs, you’re going to be hard-pressed to give your story a romantic sub-plot (unless you give him a mermaid love interest)—something many women fantasy readers want. And you may want that love story, because if Ax is a merman, my guess is that not a lot of guys will be reading this. Many guys won’t touch a story about a merman, no matter how James Bond of the Sea you try to make him. No matter which, it would be important to make him as psychologically relatable to the reader as possible. If he is a merman, an alternative to explore may be to have him fall into the shape-shifter category – legs on land, tail in the sea. That may make him more accessible to a wider audience, and solve some of the logistical problems inherent in dealing with a merman as a main character. Because we don’t know enough of the context to start forming accurate impressions, it’s hard to get a handle on what’s happening. If Ax is escaping from prison, you could explore the possibility of starting the story just a little sooner, and letting the reader participate in the prison break, so to speak. A few deftly placed details can do a lot to clarify, for example, something as basic as: Ax would die before going back to prison – and if the Nightmare found him, that would be the case. Consider starting the story a little sooner to give some context – or else drop some back-story hints. True, you don’t want to bog down a quick start/good action, but you’ve got to bring reader up to speed ASAP. You’ve got an interesting world and protagonist. There are enough elements here to create a compelling fantasy. But you’ll want to clarify at least some of the information so that the reader has a better idea of what is happening. Also, look for ways to humanize Ax and help the reader identify with him and sympathize with his situation. Good luck and happy writing! With the holidays coming to a close, my attention is turning to my manuscript again. I even had a few ideas come to me. I did find a cool worksheet (at www.martinaboone.com) with stuff to use in my character bible and I thought I'd share with you. I really liked how in-depth it went and it made me stop and think about my characters in a new way. (Thanks, Ms. Boone!) Not to mention that it's springboarding me in some plot ideas. Sometimes you just need that as a writer. I hope you find it helpful, too, and we'll all be writing like the wind in the new year. I hope all my Canadian friends are enjoying Boxing Day today. I am snug and cozy in my blanket with a new book I got for Christmas. It's snowing outside and I'm grateful for a warm home and lots of leftover food from our Christmas celebration. How do you celebrate the day after Christmas? I hope you are surrounded by love today as we celebrate our Savior's birth. So, I have a confession---I watch Sister Wives. It's a TV show about a polygamous family, Kody Brown and his four wives. It's interesting to see how they try to make things work and sometimes it's like a train wreck---you just can't look away. Overall, though, it's been a show that I've enjoyed watching. On Saturday night I'd had a bit of a stressful day with last minute shopping (for white elephant gifts.) (I sort of hate those right now) and so my husband took me to my favorite shake shop to unwind. While we were waiting for our order, Kody Brown walked in with his fourth wife Robyn. They sat down at the table next to us. It was interesting seeing them up close---they were shorter than they looked on TV (Robyn was really tiny!) and frankly, Robyn was a lot prettier in person. They seemed really normal and nice. We struck up a conversation with them and laughed a bit (over something I said. I know! Embarrassing) before we left. (It's funny now that I'm looking back on it anyway.) But I'm glad I got to meet them and find a little common ground by talking with them. Have you ever met anyone famous? Do you love white elephants? Are you ready for Christmas morning tomorrow? In my last minute Christmas shopping, I was at a women's department store and saw a very hairy man wearing a Kermit the Frog knitted hat and a low cut spaghetti strap dress, shimmying his way down the aisle. The funniest thing was no one seemed to think much of it and went about their shopping. I really want to put that sort of a character in one of my stories one day. Maybe that was something on his bucket list, since the world's going to end today and all Of course, if it is the last day of the world, I think it's important that we get another installment of First Page Friday, don't you? The first time Albert had a episode—the first I know of, anyway—he was about three-and-a-half years old. I must’ve been eight. It was spring, I remember, because we was out back after one of them April showers. Before it happened, we was squatting on the grass watching a worm poke his head out of a hole, grabbing blades of grass and pulling ‘em back in. I never saw nothing like that before in my life. I didn’t even know worms had heads, let alone mouths. I guess they got both. “Feed it some grass,” Albert says. So I pull up a blade of grass and dangle one end right over that hole, kind of like I’m fishing. We’re squatting there, me holding that blade of grass and Albert just watching, real quiet-like. I didn’t think nothing of it then, but now I think it’s weird he was so quiet, watching a worm like that. I’m holding a piece of grass real close to the hole, trying to hold it real steady, and I glance over at Albert because he’s so quiet and I see he ain’t squatting no more. He’s kind of kneeling and swaying a little bit and his eyes’re wide open but he don’t see what I see, I can tell that right off. It’s like he’s watching something far away. Nothing. He’s just staring and swaying on his knees. Before I address the text itself, I should mention that this sample is longer than one page. It’s important to follow submissions guidelines to the letter, not because the three extra lines of text will take long to read, but because editors want authors who can follow instructions. Before you submit a manuscript or partial manuscript to an editor or agent, make sure that you haven’t broken any of the submissions guidelines. Submitting is hard work, and you don’t want to lose out on a technicality. What I hope doesn’t get lost in the dialect is the fact that the writing is really good. It flows well, and it works in vivid details in a way that feels organic. Overall, this piece has a childlike feel—from the narrator’s surprised reaction to the worm’s head to the “effin’ weenie” insult. If the intended audience is the middle grades (perhaps ages 9 to 12), I think this book has hit its mark. There’s also a fair measure of suspense here. The reader is left wondering what is causing Albert’s episodes and who “Timmy V.” might be. These unanswered questions will motivate the tentative reader to continue beyond the first page. Overall, I think that the voice in this piece is distinctive—not just because of the dialect, but because of how observant Mikie seems to be. He notices minute details, and a narrator with an eye for the little things is bound to weave a vivid story. He stands out in a lineup of other narrators in young adult or children’s fiction. As an early Christmas gift to all my writing friends, I'm going to tell you about something my critique partner Jordan McCollum is offering today. If any of you know Jordan, you know she is amazing and has a writing blog where she offers PDFs with specific writing techniques. She's helped fellow writers for a long time. Well, today, her new PDF Tension, Suspense, and Surprise is available, and all you have to do is use her new Tweet button found here to tweet about it and you will get it for free! A truly great deal. This PDF shows you how to draw your readers in and keep them reading with specific writing techniques every author should have and it's well worth your time. So, what are you waiting for? Go tweet, then read the PDF. You won't be sorry you did. My little girl came into my room at 3 a.m. and I couldn't go back to sleep after that. I finally just got up at 5:30 because I needed to be to an appointment at a government office (immigration) by 8 a.m. Let me tell you, that is an experience. When we approached the room, there were three armed guards, a metal detector, I was wanded and had to show my ankles, and my stuff was searched. Then I sat in a little room and waited. While in said room, a guy got on his cell phone, even though it clearly said no cell phones allowed and he got yelled at. I shrank down in my seat a bit because I didn't want to get yelled at, but the lady was really nice to me and I was very grateful for that because you know that weird feeling you get when you're really tired? Like you want to laugh at everything? Yeah, I didn't think that would go over too well. And then I came home to write my blog and realized it's Word Count Wednesday. And the sorry fact is, I haven't written one word since NaNo ended. I haven't even looked at what I wrote in November. It's like there's a major holiday coming up or something. I did make four dozen chocolate chip cookies a few days ago and I think I might make some more today. Chocolate always helps insomnia/laughing hysterically, right? Maybe I'll go lie down for a bit. Or, maybe I'll start a story about someone who has to go to a government office very early in the morning and turns into a laughing zombie. Wouldn't that be cool? How have you done with your writing since NaNo? It was raining/snowing last night and we took our family to look at Christmas lights. The little kids oohed and aahed, but the big kids were debating the best lines from Lord of the Rings trilogy. Not exactly conducive to the Christmas spirit, but hey, at least they weren't arguing and/or whining. I was happy for that. I came home, everyone got ready for bed, and I snuggled in my blanket and turned on the TV for my show. I needed a Hawaii fix and this was my one chance to get it before Christmas. Thank you Hawaii Five-O writers for delivering! It starts out with McGarrett and Catherine eating in the car before they get car-jacked. The look on Steve's face when he's talking to the carjacker/Catherine and Catherine's exasperation with him was funny. I really love those two together. But I have one teeny tiny criticism---when Catherine is beating up the bad guy (which was an awesome fight by the way) she doesn't have a mark on her, which just didn't seem realistic to me. And then Steve bursts in and doesn't even ask if she's okay. No concern at all. I really want him to show a little protectiveness toward her. She's been in two fairly dangerous situations and he's never even said, hey, you all right? I know, it's picky, but that's my one unfulfilled Christmas wish from last night. Although I have to say, him showing up at the end dressed like that, and picking her up with that determined look in his eye was pretty good. It almost made up for his lack of concern earlier. *le sigh* Officer and a Gentleman moment for sure. The story was good as well--lots of twists and turns, which I like. Danny saying "rotah" made me laugh. I thought the little kid was a good actor and really sold it. The scenery was magnificent as well, and with the rain and snow outside my window, it made my longing to go to Hawaii that much more intense. Someday, my friends. Someday. So, overall, this Christmas episode was a winner in my book. How are you passing these cold winter nights these days? Book Lover's Holiday Hop Winner & Christmas Stories--Got Any Good Ones? With the Frog Blog Christmas Reunion last week, I'm afraid I didn't announce who won the Book Lover's Holiday hop last week. Congratulations! I will be contacting you for a snail mail address for your prize package. I made a goal to read 112 books this year and I'm short of my goal so I've been reading like crazy. Most of these were freebies on Kindle so I downloaded them and I can only really recommend The Candy Cane Queen, Bah Humbug, and How Will Christmas Find Us?. The rest were, well, not my Christmas wish for a Christmas story. One of them actually was so redundant I had to check and see if I was reading the same chapter again because the characters just kept saying the same things over and over. I love Christmas stories, but I still want to be entertained, do you know what I mean? So I'm still on my quest for good Christmas stories to read. I have Kerry Blair's new book, For God So Loved the One, on my to-read list and I'm looking forward to that. Have you found any new favorites on your Christmas reading list this year? Any good recommendations for me? Were this a true Frog Blog reunion, my post would show up sometime in the next few days when I finally got around to blogging. But since everyone else is being so timely, I will only be a few hours late. In the last eighteen months I went from feeling as if I totally wanted to give up on writing to being thoroughly inspired to get myself back in the game, thanks to indie publishing. I felt like the writing was on the wall and I could see what was coming (and is happening now) in the publishing industry. I didn’t want to leave my future in the hands of corporations that could go bankrupt (hello, Dorchester!) or merge (hi Penguin and Random House!) or get sold, tying my copyright up for decades. I wanted to retain control. And keep the money. So I put out a sweet, fluffy YA romance, “The UglyStepsister Strikes Back.” (Now with new cover!) My Frog Blog connection - Jeff Savage helped me write the blurb and Julie Bellon gave me an awesome review. I loved every second of writing this book – of not having to worry about whether an agent or editor would love it, or if was being written for a specific market. I loved having control over who edited the book (Eschler Editing and Melinda Fulton). I loved picking out the cover artist (Scarlett Rugers, check her out!). Now, this is not to say that I haven’t been languishing in obscurity. Because I have. JA Konrath said there was a certain amount of luck involved after you doing everything you could – and I think I’m proof he’s right. I know it’s a good book. Because everybody I’ve talked to who has read it seems to love it. I didn’t put up garbage. But I’m a teeny-tiny pinprick of light in a large, vast publishing universe. So here’s to hoping that 2013 will be a banner year for all of us – may you find the time to work hard and may you find some measure of success with the things you do! Just for the record, I voted to hold this reunion next week. My thought was that it would make a nicer gift coming that much closer to Christmas, and . . . okay! Hold your comments! I’ll come clean. My actual reasoning was that if we “reunited” next week my day would fall on Friday, December 21 and, with any luck at all, the ancient Mayans would be right, the world would end, and nobody would ever know I missed yet another Friday! (Worst case scenario: the world wouldn’t end, but none of you could expect me to hear that news from my bunker deep beneath Mingus Mountain.) But, nooooo. Everybody else wanted to blog this week, so here we are pre-apocalypse. I’m sorry. I sat down to write this yesterday. I had just teared up over Julie’s blog, so I started out echoing what everybody else said about how much we love, appreciate, and miss you guys. Well, you know me: six thousand words later I was sobbing outright and my elderly pit bull, picking up on the maudlin vibes, was pressed against my leg, howling harmony. For the sake of us all, I walked away from the computer then to try again this morning. You’re welcome. So, first I asked myself: Back in the days of Froggy yore, when I wasn’t being sloppily sentimental and/or preaching to the choir, what did I do? Honestly? Mostly I ditched. Every once in a while I ran a cheesy contest, but when I wasn’t doing any of those things, I liked to hang out with the Frog. This prompted me to wonder: Where is that little terd . . . er . . . toad, anyway? Shouldn’t he be here, too? Six Writers were blogging—but where was the Frog? All hoped that our Frog friend soon would be there. While visions of frog legs danc’d thro’ their beans. Had just settled their brains to write their own blogs. I fell from my chair, wond’ring what was the matter. Tripped into the cattails and fell with a splash. But a miniature sleigh pulled by six dragonflies. I knew in an instant it must be our Toad! “On, Julie! Go, Kerry! You, Robison! Now, Steph! “On, Sariah! On, J. Scott—or, wait—are you Jeff? “To the edge of the bog! To the top of the weed! (And then there was this whirlwind of leaves and . . .
To the bog Saint Amphibian came with a plop. But he wore a fake beard that was white as a sheet. That had me believing I saw Santa Frog. His eyes—how they twinkled! His wide lips—how scary! His feet were like rubber; his toes were webbed, very. It was full of red ink. Had the Frog come to ed-itt? That could turn in his head and indeed hypnotize. Soon gave me to know I’ve delusions to dread. Then, laying a finger aside of his nose . . . He hopped to his sleigh, to his team gave a shout! I hope that, too. And I really do miss you all! Merry everything! I have had so much fun this week seeing a little "Christmas letter" from my frog blog friends. I miss the old gang sometimes. But I don't know if I have very much to say that you guys don't already know because, well, I blog pretty much every day. I'll try to hit the highlights and not bore you. Back in January I went down in my basement and looked at the thirteen boxes of paper we'd carted around for years. I had kept every paper my kids had ever worked on in school because I thought it was precious and I'd scrapbook it someday. Instead, I had more kids, and got more paper and stuck it in a box which was now stacked in my basement. Every year I said I'd clean those out and every year I failed to do it. But in January 2012 I raised my fist and said, "This is the year I will conquer the paper monster." And then I went to work. Most of you know I follow Flylady and I love her idea of "You can do anything for fifteen minutes." So my husband hauled up those paper boxes (and a few bags that were hiding in the back) and stacked them in the family room. Every day I took fifteen minutes (or more on a good day) and sorted the papers into kid piles. Then, once each kid had a pile, I got a large binder and tracked down the kid and we went through the papers deciding what was a keepsake and what could be thrown away. I cannot even tell you how much fun we had doing this, laughing about old memories, notes we found from friends they'd lost touch with, drawings they'd done, assignments they'd spent hours on, book reports, and journals. It was probably the highlight of my year to have that time with each of my children. And, even though it took me a few months, those paper boxes (and bags) are gone. I have eight binders (one for each child) of special things they wanted to keep (and yes, I sneaked a few in that I wanted to keep) and they are safely in a bookcase. It felt so freeing to get that done. I look at the empty space in my basement where those boxes used to be stacked and I feel proud of myself. And I made a wonderful memory with my children to boot. I'll count that as a success. I also joined a critique group this year that meets in person twice a month. It has been such an eye-opener to me how much of a difference it can make to how I write when I meet in person with these ladies. We critique, we brainstorm, we talk and laugh and eat yummy food. I've gained friends as well as people who have helped me take my writing to the next level. It's been a wonderful thing in my life and a highlight in my year. On my birthday this year my friend asked me what the best moment of the year was for me. I thought back over it and one thing popped into my head. It's small and insignificant, but had a big impact on me. We took our family to San Diego for a family vacation this year and one late afternoon we were at the beach and I was sitting on a towel, watching my husband and children play in the water and for just a moment they all stood there watching the sunset, their shadows touching me on the towel and I thought to myself, "Everything that is truly important to me is standing right in front of me." I felt the tears prick my eyes because in that moment nothing else mattered except the love I felt overflowing in my heart for my husband and children. I know I will remember that moment and the feelings I had for the rest of my life. This Christmas has been particularly fun because my four-year-old understands what's going on. She presses her nose to the window each morning hoping it has snowed so she can make snow angels. When we finished decorating the tree she stood back and stared and then said, "Wow. It's so beautiful Mom." She has worked hard to learn to make paper snowflakes and spent over an hour making a special Christmas star she wants to give to Santa. She loves to look at baby Jesus in all my nativity scenes and seems fascinated by the manger. It's been wonderful to see Christmas through her eyes. She loves baking, too, so we've been trying out new recipes that are fun to make. Today, we're trying Sugar Cookie Bars that I've been told are really easy and so addicting you'll never want to eat regular sugar cookies again. We'll see. I guess when I look back at this year I'm most grateful for my family and the friends I've made through this blog and the Frog blog and in real life. You encourage me to be myself, but also make me want to be better, so thank you for that. I hope at this holiday season you are surrounded by love and you can look back at this year and find something you accomplished and can feel good about, but also find a moment that makes you feel warm inside and will always live in your heart. 1. COOKIES: Preheat oven to 375 degrees Fahrenheit and grease a 9x13 inch baking dish. 2. In a medium bowl, combine flour, baking powder, and salt. Set aside. 4. Add egg and combine well. 5. Add sour cream and vanilla and mix until completely blended. 6. Slowly add the flour mixture and stir until well combined. 8. Bake 17-20 minutes, or until edges become lightly golden. 9. Set aside to cool completely. 10. FROSTING: In a medium bowl, cream together butter, powdered sugar, and half and half until light and fluffy. 11. Stir in vanilla and salt, combine well. 12. Add food coloring until desired color. 13. Frost your cooled cookie bars evenly. 14. Cut into squares and serve. Thank you to Julie for organizing the Frog Blog Christmas Reunion! It’s an honor to be blogging with my Frog Blog friends again. Like Rob, I’m so grateful for the friends I made on the blog, both among bloggers and readers. Thank you to everyone who supported us in our Froggie years. One of the absolute hugest blessings of being a writer is being part of this incredible community of writers and readers. During the many years when I was writing (and rewriting, ad infinitum—or nearly) my first book and dreaming of someday seeing the book published, I had no idea that one of the most awesome things about joining the writing world would be becoming part of an amazing community of incredibly nice, incredibly talented, incredibly supportive people. I love, love, love the blessing of being able to connect online with other writers and readers. Besides my yearly trip to the Storymakers Conference, I rarely see my writer friends in person, but online I’m able to maintain friendships and make new ones. Sadly, since leaving the Frog Blog, I’ve discovered—um, not to my surprise—that I’m a very inconsistent blogger when left to my own devices. I do have a blog (www.stephanieblackink.blogspot.com), but I last updated it in October. Sad, huh? Whoa . . . I have an idea for a New Year’s Resolution. Update my blog regularly! (“Regularly” being defined as “more often than never.” Resolutions should be realistic, right?). Another resolution: clean out the garage. And that’ll do it for my 2013 resolutions, folks, because if you’ve seen my garage, you’ll know I won’t have time to accomplish anything else next year. So what have I been up to in the last year and a half since the Frog Blog disbanded? I published a couple more mysteries (Rearview Mirror and Shadowed). I’m currently getting ready to submit a Halloween-related novella for a project I’m doing with Gregg Luke and Traci Abramson. The story turned out lighter than my usual books, so it’s been fun to work on something shorter and more humorous. Other than that, I’m still specializing in falling behind on things I should be doing and watching my kids get SO OLD. We sent our second daughter off to college, and our oldest daughter is now in the process of APPLYING TO GRADUATE SCHOOL. Pardon the shouting, but it’s kind of an all-caps event to have a child almost done with her undergraduate work. I’m accustomed to having kids in college, but to have a child graduating from college? Oh my. My oldest son is, like, four inches taller than I am and my second son is growing so fast that his jeans would make appropriate wear if the need arose to wade across a creek on the way to school. My youngest daughter turned eight this year, so that pretty much makes us old all around. Bonus: it’s a lot more fun playing games when your kids get older. In the first round of the Goblet Gobblers tournament on Monday night, the eight-year-old beat me. Then there’s the cataclysmic shift in family policy that occurred a year ago when I went all gooshy minded and gave my oldest daughter permission to bring home a stray cat she and her roommate had taken in. I’ve always been adamantly anti-pet, so this was a big stretch for me. And lo and behold, I’ve grown used to the strange little beast, and even fond of her. Who knew I had it in me? I hope you all have a Merry Christmas and a wonderful New Year! So it's been 18 months since the death of the Frog Blog, and much has happened. 18 months ago, I had just started a new job. Well--shocker!--I was laid off from that job. So, if we were still blogging once a week, you would have surely heard me complain about the state of the economy, and then someone would have made anonymous political comments, and discussion would ensue with all the righteous indignation and that an anonymous internet commenter can muster, and then I would probably take the next week off the blog out of annoyance. I also, in the last 18 months, have been diagnosed with a whole host of medical problems that have dominated my life (and that led, in great part, to the aforementioned layoff). Were the Frog Blog still in operation I would have blogged about those problems, and then an anonymous commenter would pretend to be a medical doctor and give the kind of advice that non-medical doctors give, and then discussion would ensue, and facts would be manipulated and logical fallacies would run amok. But it's good to get the band back together again, for one final concert on the rooftop. If there's anything that I've learned in the last year, over the course of my illness and the release of my first national novels, it's been that it is essential to have good friends you can rely on. And it has been my pleasure and honor to rely on the many of the Frog Bloggers and the many readers who became close friends during the blog's five years of existence. I don't go out much anymore (because of the illness) and I don't make it to as many book events as I used to, or even to my writing group, so I've come to value my online relationships even more. Many of you have become a vital part of my life, and for that I can't begin to express my gratitude. Just know that, of all the things I'm thankful for this holiday season, there are few things more important to me than the friendships and kindness that help me through each day; and much of that friendship started out on the Frog Blog. I’m not sure how Julie will introduce this series of posts, so let me just say that as former writers of Six LDS Writers and a Frog, we had a great time, made good friends, and hopefully kept a reader or two entertained. We eventually ended the blog, but have retained the friendships and thought it would be fun to share with all of you who followed us by doing a Christmas reunion. We aren’t bringing back the “Frog Blog.” But it’s fun to get the band back together one last time. For my part, the year plus since we ended the blog has been a roller coaster. I nearly gave up writing (at least for public consumption), saw my Farworld series picked up again by Shadow Mountain, signed a contract with Harper Collins for a new series, sold a horror novel (of all things) to Covenant Communications, and unexpectedly lost one of the people I am closest to in the world, my mom. What did I learn from all of that? There are a bunch of clichés that probably fit the bill: When God closes one door He opens another. The night is always darkest before the dawn. You’ve heard them all before. But the reason they are clichés is because they are so true. I firmly believe that no matter what you strive for in this life, you reach certain points where things seem bleak and impossible. You can’t see any way forward and the road back is too long and hard to even think about retracing your steps. In my experience those are the moments when you are so close to a new level of success that your subconscious understands it has to be there while your eyes and brain tell you it isn’t. You despair because you know you should be seeing the light over the next peak but all you can make out with your limited vision is darkness. My gift to you this Christmas season is hope. Don’t give up. Believe in the things that got you climbing in the first place. Trust that God would not have set you on this journey to fail. Realize that although it doesn’t make it any easier, others have walked the same path before you and reached the summit you are seeking. Remember that if Savage can achieve his dreams, anyone can. And most of all remember that you were sent here to fulfill your eternal destiny whatever that might be. It really is darkest just before the dawn and the long night makes the light all that much sweeter when it finally breaks through. Merry Christmas and thanks for being my friends. I think this is a critique that every author would like to receive from a national editor. As always, if you would like your first page critiqued, use the submission guidelines in the sidebar. Thank you to the author and to Ms. Shreditor for their efforts. See you next week! I step from the bottom rung of the ramp and plant my feet firmly on the powder this planet calls soil. An orange cloud mushrooms up around my calves and coats the neoprene suit I wear with chalky residue. Hanson walks toward the caves carved into the adobe cliffs. Little orange puffs trail behind him. I groan. Of all the inhabited planets I have cultivated, this has to be the most barren. In five long steps, I’m beside Hanson. His eyes flicker to me then away, and his baby-smooth face pulls into a grimace. I know it irritates him when I outdistance him without trying. Even though we’re the same height, my five-eleven frame consists of more legs than torso. Hanson, on the other hand, was shortchanged on legs—pardon the pun. “Lose the smile, Spider-girl,” Hanson grumbles. Oh, was I smiling? I do my best to match his grimace—and stride—and return my focus to the mission. Data received from the unmanned probe revealed this planets population to be sparse, extremely primitive, and confined to this one area with an abundance of natural resources. That’s one reason I accepted this assignment. They don’t come much easier. Just take a shortcut through a wormhole, land a shuttle where the primitives are sure to witness it with fearful awe, and wait for them to fall at our feet and worship us like we’re some kind of Rock Stars—pretty standard on archaic worlds. Then it’s a matter of training the natives to harvest the resources needed, designate areas for human colonies, and I’m home in time for my sister’s wedding. It looks like it will be easier than I thought. When our ship arrived, we found no sign of life, or of the so-called, abundant resources, even after orbiting the planet twice. I sent a crew to repair the unmanned probe, and shuttled down with Hanson to confirm the lack of life and resources before we head for home. But from the looks of the caves ahead, someone lives here. It’s difficult to “shred” a sample like this. What can I possibly criticize about a first page that feels this close to ready? There are some minor technical issues here and there, but nothing egregious—and certainly nothing worth picking apart in this column. I found myself reading this not as an editor, but as a reader. Brief aside: It is very rare that an editor gets to read a manuscript for enjoyment. I was discussing this with a relative who is an avid reader last week. He noted that I rarely get to read books for fun because my job is to fix what’s wrong with the manuscript. He was half right. The way an editor reads a manuscript is worlds apart from how he or she would read a book for pleasure. But I enjoy reading books from that editorial perspective, too. If I didn’t, I’d have made a really bad career choice. My point? I was able to sit back and enjoy this first page. I found myself latching on to “Spider-girl” and Hanson because the narrative dropped so many compelling details about them. We only get one line of dialogue between them, but it’s enough for us to understand the relationship between them. Perhaps most telling, however, is the look Hanson casts at Spider-girl in the second paragraph. In this look we see insecurity about his short legs, frustration that he’s been outdistanced, and perhaps even unresolved feelings for Spider-girl. While the exact relationship between them hasn’t yet been spelled out, I get the impression that they’ve been close friends for a long time. The story creates for us, the readers, a world that is vividly barren. The use of color is really effective here, between the orange “soil” and adobe cliffs. World-building is a crucial element in any sci-fi or fantasy story, and I finished this first page with a fairly clear sense of where these characters are and what their surroundings look like. Most impressive about this sample is the author’s ability to shift seamlessly between the past and present tense. This may seem like an elementary concept to the readers of this blog, many of whom are seasoned writers or editors, but I see more verb tense issues in my travels than I can mention here. Here, we have an author with really keen syntactic instincts. For the most part, the writing flows beautifully. Please do submit this manuscript when you’re finished. It feels ready to me. I think a lot of people reading this blog would love to find out what becomes of these two characters and who/what inhabits the caves they've discovered. Some of those are pretty big names now. Jeff Savage and Rob Wells are nationally renowned authors. Stephanie Black is a three (or is it four) time Whitney Award winner. Kerry Blair is a beloved best-selling author of many many books who just put out a new Christmas book. Sariah started it all when she asked us to participate in the blog and she's making a name for herself in YA fiction now. It is a great group. Since we stopped blogging almost two years ago, I've had several emails asking if we would ever get back together again. Doing a regular blog together probably will never happen again (lightning doesn't strike twice) but we have been able to put together a Christmas gift for our fans and all the old frog bloggers will be blogging right here on my blog next week! I'm so excited. And just to prime you for it, I have linked to some of my all-time favorite frog blogs. Sariah Wilson and Why I Love the Muppets because I loved Beaker, too. Stephanie Black's March of the Cheerio Monsters because it's funny. And so her. Man, I had so much fun going back through all our posts. We are awesome and I can't wait for our mini-reunion next week. I hope you enjoy it as much as I do! There are so many things going on for the blog right now. Exciting, wonderful things. Like the fact that my old blogging group, The Six LDS Writers and a Frog bloggers will be having a mini-reunion next week as a Christmas gift to all our fans. I can't tell you how many people have asked me if we will have a reunion since we ended two years ago (or so) and now we are! I can't wait. If you know a Six LDS Writer blog fan, let them know will you? We're all going to take our old days, right here on my blog. I also am excited to tell you that I met my half-Nano goal. It took me until Friday evening, but I did it and I am proud of it. Which, since I had a work to work with, led me to agree to being tagged in The Next Big Thing Blog Hop to help us find new favorite authors. But first, tell me, what did you think of Nano? Did you meet your goal? Will you do it again? There are the books everyone had heard about: Twilight, Hunger Games, Fifty Shades of Gray. But what about all those books written by people you’ve never heard of? Some of them are treasures, just waiting to be found, and that’s what this blog hop is all about: the books you might not have heard about, but that you might end up loving. This blog hop is like a game of tag. One author posts and tags five other authors who link back to their website the next week and tag five new authors. If you follow the blog hop long enough, you’re bound to find some books you’ll love! Maybe you’ll even discover a book that ends up being the next big thing. I was tagged by Debra Allen Erfert. You can learn more about Debra on her blog, http://www.debraerfert.blogspot.com/ where you can then connect with her on Twitter, and even Pinterest. 1: What is the working title of your book? My NaNo one was Bonds of Betrayal. I've always wanted to write a story with a lot of shades of gray in it---as in, a woman who may or may not be trustworthy, who may or may not truly need Colby's protection. It's turning out a bit darker than I originally planned, so I might need to go back and lighten up a few things. 3: What genre does your book fall under? Ooh, that's a hard one. 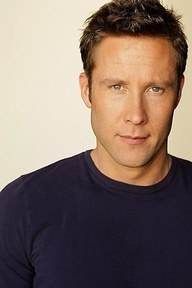 Probably Michael Rosenbaum. For a man like Colby loyalty is everything, but when he is betrayed by a woman he's come to love, can he forgive and forget? 6: Will your book be self-published or represented by an agency? I'm not done with it yet. So it will probably be a couple more months. Maybe a Marliss Melton book? I'm not sure. My own previous books? I have to think about that one a little more. It popped into my head one day while I was playing horsies with my baby. There's a lot of twists and turns that you won't see coming. So, did I pique your interest? I hope so. Here is a list of authors who will be joining the hop for week 25 on December 12th. I hope you’ll visit their blogs next week and learn more about their books. Maybe one of them will become your new favorite author! 2. Rebecca Talley who has an amazing new YA book out that I can't wait to read. So there you have it! Four new authors that could be your next big thing . . .
Castle and Hawaii Five-O--So Sweet & Christmas-y!